The current version of Pipeline is v4.3.3, if you're running your shop on an older version, you can download the latest version for free to update your shop. When you download the latest version, that will be a separate theme that you can configure and prepare before publishing. Your current theme isn't affected by downloading the latest version of Pipeline. The new theme will be installed as a draft theme, your live theme remains the same (safe from this download). If you're running a first generation version of Pipeline, the process will be very similar to building a new theme from scratch. There are some tips we have included to help you. When you download the latest version of Pipeline, you'll be able to continue running your current theme and also setup the new version as an unpublished draft theme. This allows you to safely continue running your shop without any interruption. The tips above will help you copy over your settings information from your current theme to make the migration easier. Once you've setup the new theme and ready to publish it, you can do so and your old them will still be available for reference. 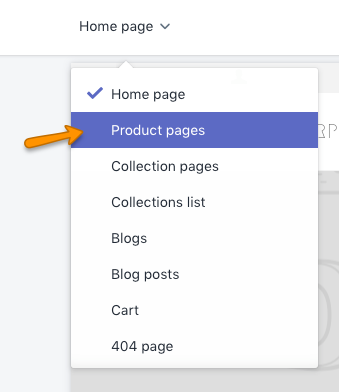 Shopify has introduced a new Nested Navigation system with full drag and drop menu creation. Previous versions of Pipeline can switch to the new Nested Navigation system in the Navigation Editor. Pipeline 4 only supports Shopify's new Nested Navigation. This means if you're updating from a previous version of Pipeline, your navigation will be forced to use Nested Navigation. If your site was using the old navigation system - You will need to create new sub-menu items within your Main Menu navigation. The first level of your Menu Menu will still be there, all sub-menu items will need to be created again. Previously, you were able to link other menus to create drop-down menus or Meganav. Now you'll need to create menu items within your Main Menu, then drag and drop under each parent menu to build sub-menus. We've updated our Meganav documentation to assist with making them under the new Nested Navigation system which is used in Pipeline 4. 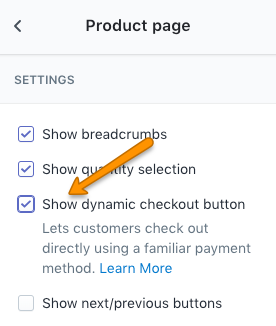 How do I turn on dynamic payment buttons? Save your Theme Editor changes. If you're following a tutorial or help article that references style.scss or shop.js, these links won't work in Pipeline 4. Use theme.scss and theme.js for articles that have not been updated. snippets/product.liquid is still the same. However, the add to cart form has been moved to snippets/product-form.liquid.